Value and quality-based reimbursement contracts make revenue cycle ever-more complex. The aggregated data arising from disparate IT systems deployed in healthcare environments makes managing revenue processes quite difficult. Moreover, the number of IT systems both inside and outside the revenue cycle area creates interoperability issues and siloed data, resulting in an inability to get a holistic view of patient records and the billing cycle. With a long track record of assisting healthcare clients on a variety of IT projects, Blue Eagle Consulting (BEC) offers operational and software expertise to help implement and maintain core business applications. The firm provides practical knowledge and experience with IT software and systems, which the healthcare industry relies upon. Since its inception in 2004, BEC has handled dozens of large integrated delivery networks, health plans, physician organizations, and hospitals. Mark Griffin, president of Blue Eagle Consulting, explains, “We focus on offering subject matter expert (SME) consulting resources for individual healthcare markets, specifically healthcare plans, hospitals, and large physician organizations.” BEC’s consultants are seasoned IT systems professionals, specialized in specific healthcare applications, with decades of experience in the field implementing and operating healthcare applications. BEC’s primary practice areas include Epic, Cerner/ Siemens, McKesson, Meditech, Allscripts, Athena, Cognizant (Facets and QNXT), Infor and Oracle. Apart from providing much of the “heavy lifting” to ensure successful implementation of applications, BEC empowers a client’s staff with the software skills and expertise crucial to managing healthcare systems. Healthcare providers in need of guidance for integrating revenue cycle management systems with their existing IT systems to ensure maximum return on the technology investment, while delivering quality patient care, can rely on BEC’s consultants. BEC considers a hospital’s organizational culture, medical staff, and employee hierarchy to select the most appropriate system approaches and expertise to optimize software workflow/best practices, staffing, and analytics. To substantiate BEC’s ability to deliver health IT resources, Griffin cites an instance involving an integrated delivery network (IDN) of community hospitals, which had grown from three to nine after a series of acquisitions in the past five years. The client wanted to consolidate the different healthcare systems from the acquired hospitals into a single system. However, the project had come to a halt after facing various obstacles in upgrading to a new system and the client was incurring losses. BEC helped overcome the operational challenges being created by the disparate software systems and inefficient usage with its expertise in implementing and managing leading health IT systems and software. Within weeks, BEC helped deploy a core of software specific experts for all nine hospitals and a physician management system that accommodated over 500 doctors. 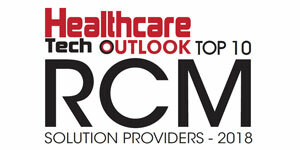 “We offer a low effort, low risk, and high return partnership for healthcare clients,” states Griffin. The secret behind BEC’s success is that the firm follows a straightforward methodology of analyzing a client’s pain points and objectives before implementing a streamlined solution. To quantify BEC’s achievements, the firm has a 96 percent success rate in over 600 projects that have delivered consistent results and enhanced the return on software investments. “With BEC’s support, clients can rest assured that their software systems are running efficiently for a wide variety of hospital service needs including the day-to-day business of patient care, hospital operations, personnel management, claims processing, and planning,” concludes Griffin.